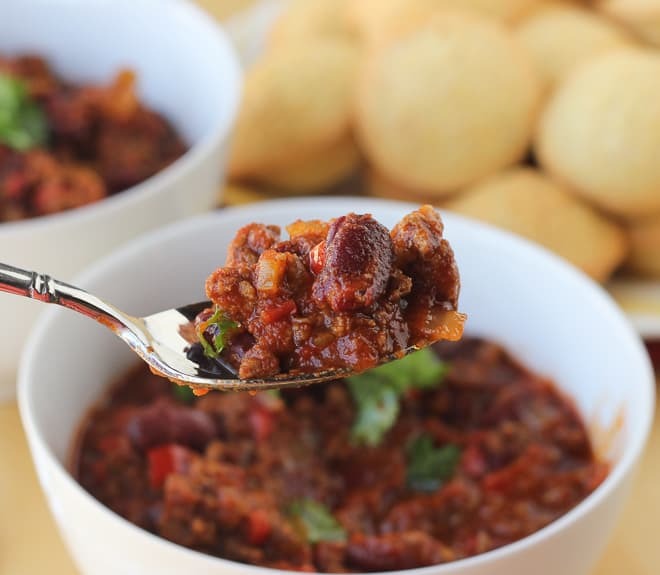 There is nothing like a warm bowl of chili and a slice of cornbread this time of year! When it comes to chili, this recipe is scrumptious, simple perfection. 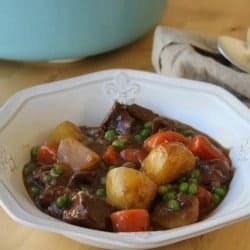 The flavors are comforting, spicy, and meaty. There are no “secret ingredients” needed. This is just classic and totally delicious chili! I also found a killer recipe for corn muffins that I will share soon. To me, making chili is equally about (if not totally) an excuse to make some kind of corn bread. I am so thrilled I found a great corn muffin recipe as well! 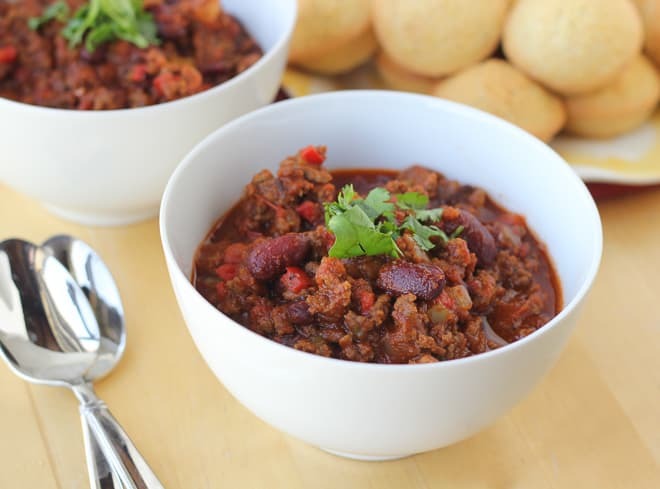 This chili is super easy to make and great for feeding a crowd. Make it for game day or, our favorite way, on Halloween night before trick-or-treating! Heat the olive oil over medium-high heat in a large dutch oven or pot. Add the ground beef and brown until no longer pink. Add the onion, green pepper, red pepper, celery, and garlic. Saute for 6-8 minutes, until vegetables begin to soften. Add the tomato paste, crushed tomatoes, chili powder, cayenne, sugar and water. Stir to combine and bring to a boil. Reduce heat to medium-low and simmer for 45 minutes. Add in the drained and rinsed beans and cook another 10-15 minutes. Serve with favorite toppings. Enjoy! Perfect for the chilly Fall weather! Next time I will halve the meat and use more beans and peppers but this was so tasty and very satisfying. Thank you!